All MSW Year 1 courses are compulsory. Students add courses in mid-June through ACORN. Interviews commence in mid-November. Confirmation of the practicum status will be available in December for January practicum commencement. Advisors are assigned to new students in the summer and are generally available to meet individually and in scheduled groups starting in September. Students who have accessibility needs should inform the Registrar as soon as possible after being accepted into the MSW Program so that any special arrangements can be in place by September. Students entering the MSW Program with Advanced Standing and students moving into Year 2 of the Two-Year MSW Program will be invited to an overview session in April to become familiar with the practicum selection process. Confirmation of the practicum status will be available in June for September practicum commencement. Students are requested to enroll in courses through ACORN on a first come first served basis in mid-June. Students who are denied access to a course should select an alternate choice. Students will be notified if enrollment limits are raised or if a course is cancelled because of low enrollment. If you need to pick-up a course or wish to receive advice in making course changes contact your faculty advisor or Registrar. You can change courses after classes begin, through the second week of class, if space is available in the course. Reading and/or Research courses are typically taken within the Faculty. It may be possible to negotiate to take a graduate-level reading course elsewhere in the University of Toronto with the approval of the host department and with approval of the Associate Dean, Academic at Social Work. If so, the reading course number will be assigned by the host department. This designation refers to a course which is intended to meet particular needs or interests and is not available in other graduate courses offered at the University. It may include either a student meeting individually with an instructor for independent study or can be offered as a special studies course on a specific topic not covered in other approved courses at the Faculty. We encourage student initiative in identifying the need for this type of course. Reading and Research courses are limited by faculty resources and time constraints of potential instructors. Students are requested to contact instructors directly. A reading course that is individually developed, with one or a few students within the Faculty should involve as much reading and written work as a regular course, and the frequency of meetings with the instructor should be consistent with other courses. The instructor must hold an appointment to the Graduate Faculty at Social Work. Course Instructors (Ph.D. students) and Sessional Instructors cannot supervise a directed reading course. A maximum of two 0.5 credit courses will be accepted toward degree requirements. Completing a SGS Request for Reading and/or Research Course form and by adding the Directed Reading Course number on a SGS Request to Add/Drop Course(s) form both available on the SGS web site. Submit the completed forms with instructor and coordinator (Associate Dean, Academic) signatures and supporting materials to the FIFSW Registrar, Room 252 for processing before the SGS deadline to add courses in a session. Some courses are offered in the Summer Session at our Faculty and in other graduate departments. Students who were registered in the previous two sessions will not have to pay an additional summer session fee while completing degree requirements. Students sign up for Summer Session courses through ACORN. Students are permitted to take elective courses in other graduate departments with the approval of the FIFSW Associate Dean, Academic and with permission from the outside department. ACORN cannot be used. Permission from the relevant non-Social Work department is required using a School of Graduate Studies Request to Add/Drop Course(s) form (found on the SGS web site: www.sgs.utoronto.ca). You will need to obtain signatures on the form from the host department Graduate Office and from the FIFSW Associate Dean, Academic. The completed form is submitted to the FIFSW Registrar, Room 252 for processing to your academic record after all signatures have been obtained. Note: Students who are graduating at the next convocation must inform the instructor from the outside department that a grade needs to be reported by the SGS deadline for graduating students. Refer to the SGS sessional dates. Complete the Ontario Visiting Graduate Student Agreement form (OVGS). Submit the form with the syllabus from the host university to the Associate Dean, Academic for approval. SGS seeks approval from the host university. Notice (either approval or not) is given to SGS. If approved, SGS processes the enrolment and notifies the FIFSW/home department and the student. Sign in to your Student Information Service (SIS) account ACORN to gain direct access to certain portions of your University records. While academic advisors, faculty and staff are available to assist and advise it is ultimately the student’s responsibility to keep his/her personal and academic information up to date at all times and to follow all University, SGS, departmental and program regulations, requirements and deadlines. The SIS makes it easier for students to check and correct this information. If questions arise about requirements, policies and procedures, students are responsible for seeking answers for these questions from staff and advisors. Use of the Student Information Service to enrol in courses means that you agree to abide by all of the academic and non-academic rules and regulations of the University, the School of Graduate Studies and department in which you are registered and assume the obligation to pay academic and incidental fees according to the policies and requirements of the University of Toronto. You normally use the SIS to add or cancel courses. If, for extraordinary reasons, you are unable to use the SIS contact the FIFSW Registrar, Sharon Bewell, sharon.bewell@utoronto.ca. Users of the SIS are expected to be responsible and should not attempt to flood the system with requests, or to automate the process of course enrollment. Such activity may clog the system so that other students may be denied access or experience degraded performance. Any student(s) attempting such activity may be denied access to the SIS until after the relevant registration period. The Factor-Inwentash Faculty of Social Work and other university offices will send important information to you by email. 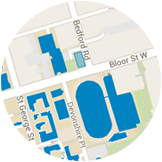 Please make sure that you have a University of Toronto email address recorded on the SIS as well as your current mailing/permanent address and telephone number.